Add flash to our Standard Pin Back Buttons with an ultra bright LED light! 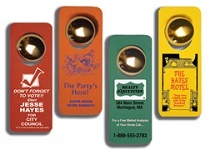 Small and handy but with a big impact, our personalized promotional LED and flashing buttons come in many different styles and colors for you to customize with a corporate or candidate name and logo. 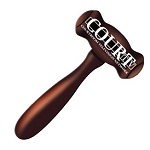 A flashy memorable and attention getting piece of your marketing campaign. Simply pin on button to activate light / unpin button to turn off. 1.5mm LED offers continuous flash for over 100 consecutive hours. 2-3 AG3 or AG10 replaceable batteries. Printed on high gloss paper with laminated finish. Pin back and red LED standard, other LED colors available for additional charge. 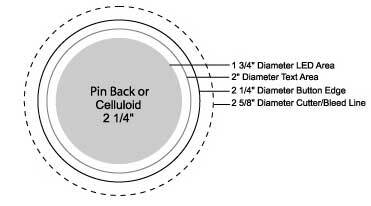 Button pricing is based on bulk packaging with random count inner bags. The prices above include 4 color process. Magnetic Clip is also available for additonal charge (on 1-1/2" through 2-1/2" with Red LED only) for an additional charge. Options Available: If metallic or fluorescent inks are required Please contact us at 706-258-7041 for pricing. Batteries on the flashing buttons are replaceable. LED Colors: For LED color other than Red, contact us for additional pricing. 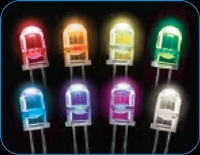 Orange, yellow, green, blue, purple, pink and white LEDs are available.